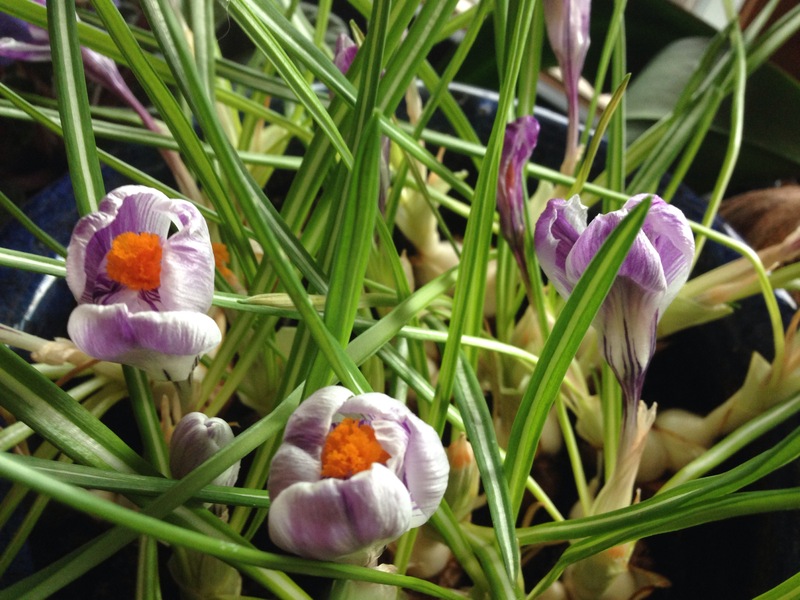 My pot of Pickwick crocuses has started to bloom. 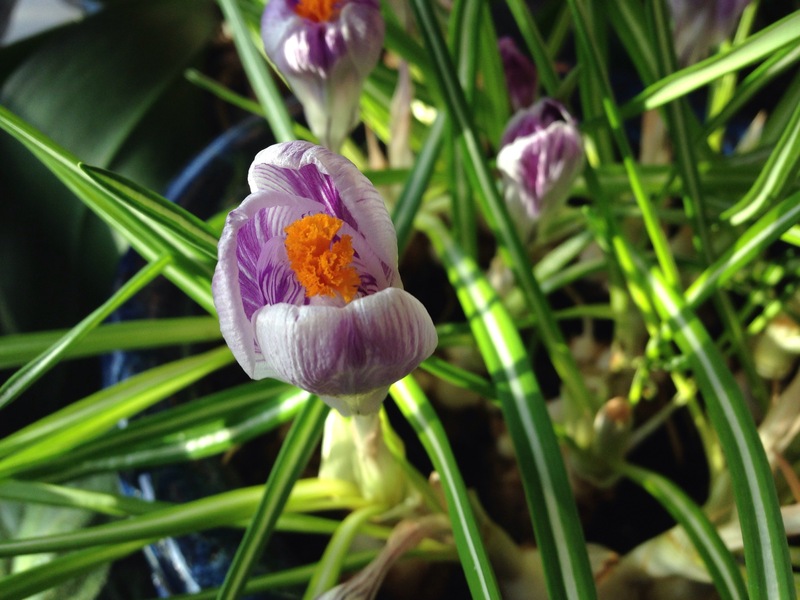 I love purple and green together. 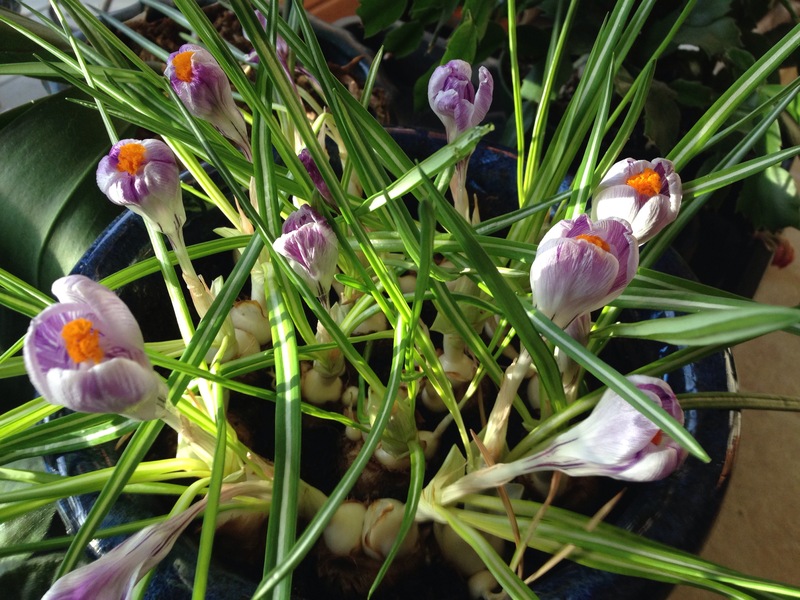 So springy! 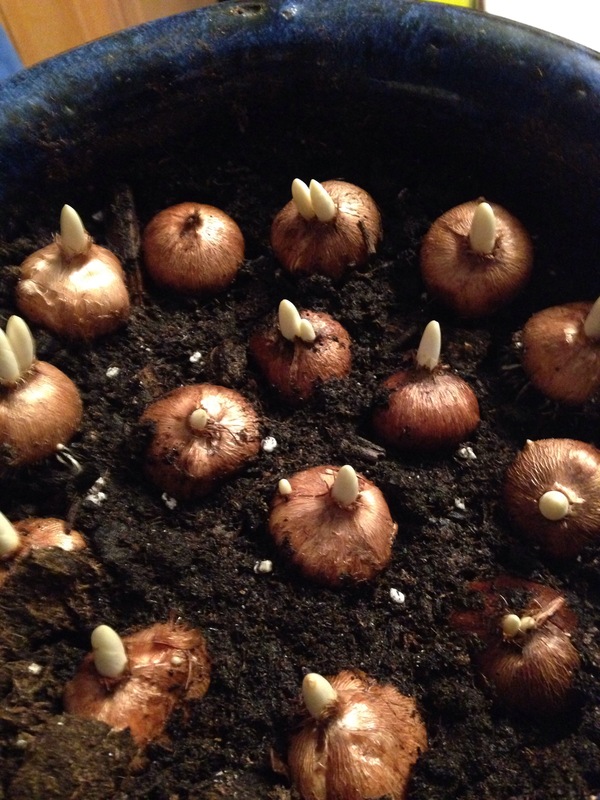 If you are interested in forcing bulbs or corms, check out how to on my previous blog. Here is what they looked like after 10 weeks in my husband’s beer fridge(December 15th). 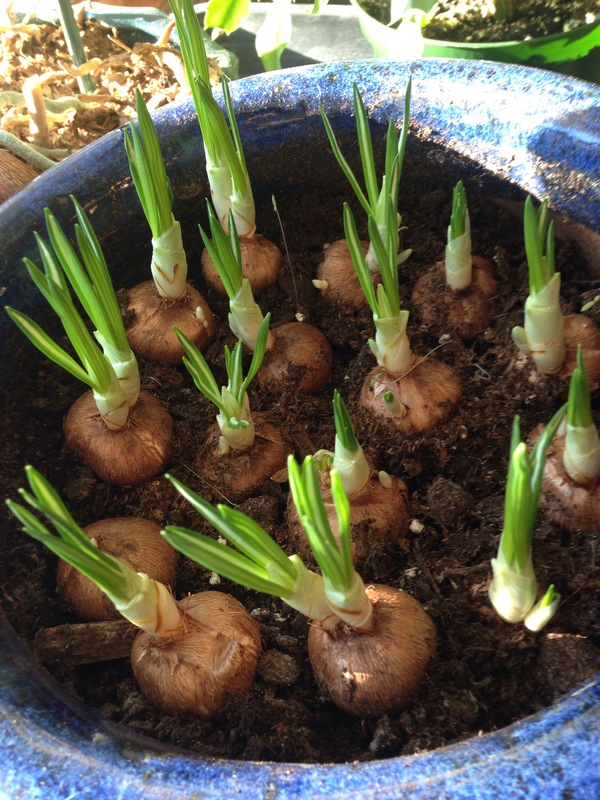 Two weeks later, they were sprouting green leaves (January 3rd).